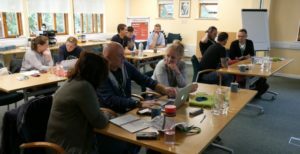 During a 5-day workshop at Chester Zoo, participating zoo professionals responsible for recruiting, training and developing zookeepers were asked to have a critical look at the draft framework and give their feedback. What do they think of it? Would they consider it a useful tool? How would they recommend using it?